The NFL has been dealing with two major issues: concussions and its outdated anti-marijuana policy despite changing times. In a twist of irony, the two may end up working together to make the NFL a safer place for the long run. 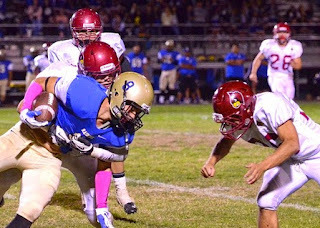 Can marijuana really help someone with a concussion or prevent a player from getting one? Yes, it can. Marijuana is among the oldest remedies for pain and stress. Its history dates back thousands of years before Vicodin, Percocet, Toradol and other dangerous pharmaceuticals handed out so freely by NFL medical personnel. Most people know the NFL is dealing with lawsuits related to concussions; not surprisingly it's dealing with drug policy litigation as well. How odd that one of the items on the banned substances list also has potential to heal the brain. The helmet protects the skull, but it doesn't keep the brain from sloshing around during a hit. Chronic Traumatic Encephalopathy (CTE) comes from repeated head traumas and can evolve into a degenerative brain disease. CTE may have contributed to the suicides of NFL players Junior Seau and Jovan Belcher, who also killed his girlfriend. 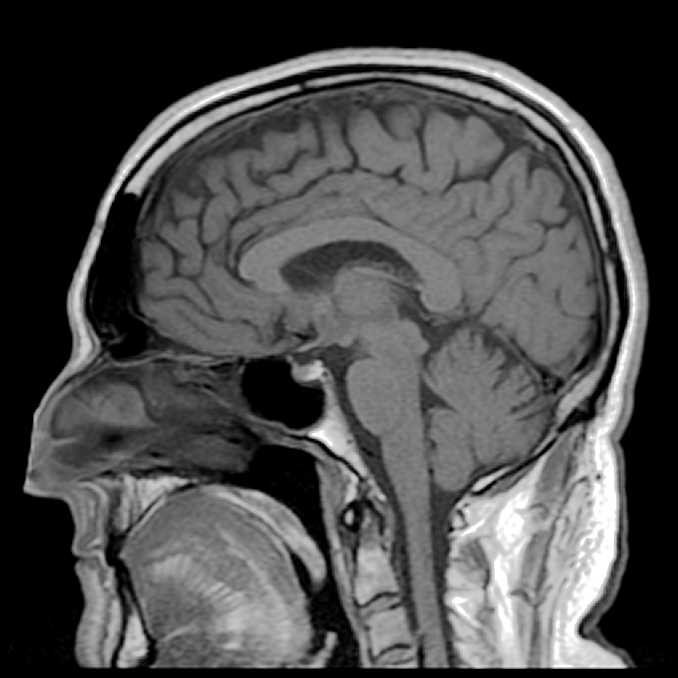 In cases of brain trauma, a lot of inflammation occurs which affects brain function and neural connections. A compound in marijuana called cannabidiol (CBD) has shown scientific potential to be an antioxidant and neuroprotectant for the brain. Perhaps that's why some players instinctively prefer it. 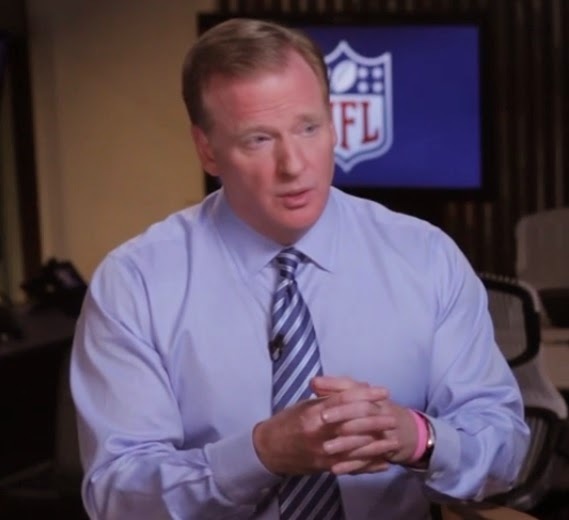 Goodell, you still open to medical marijuana? 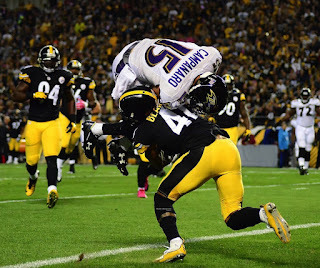 In January of 2014, NFL commissioner Roger Goodell said, "We will follow medicine and if they determine this could be a proper usage in any context, we will consider that. Our medical experts are not saying that right now." Goodell did not discuss what the other medical experts are saying, the ones who recommend marijuana over dangerous pharmaceuticals for concussion prevention and treatment. To the commissioner's credit, the NFL has made substantial efforts with rule changes for safer hitting methods, but that's not enough. He needs to acknowledge the opinions of more medical experts and requests from the players who understand what their bodies prefer for pain and inflammation. Dr. Lester Grinspoon is one of those reaching out to the NFL commissioner. Grinspoon is a football fan and also Associate Professor Emeritus of Psychiatry at Harvard Medical School. He's authored many books including Marihuana: The Forbidden Medicine. Dr. Grinspoon wrote Goodell a letter imploring him to actively support research into using cannabis to treat longterm head trauma. Dr. Raphael Machoulam is professor of Medical Chemistry at Hebrew University in Jerusalem. He's studied cannabidiol (CBD) and tetrahydrocannabinol (THC) for over 50 years and identified a major physiological system (the endocannabinoid system) which seems to be involved in many human diseases. Marijuana mimics compounds found in the brain, named endocannabinoids, and are of immense importance in bodily functions. Related compounds found more recently in the brain and in bones have to do with brain protection and osteoporosis. 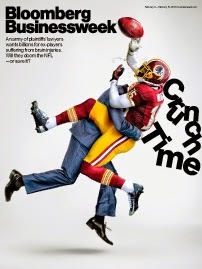 In April of 2015 a federal judge approved the class-action lawsuit settlement between the NFL and thousands of former players. The total may cost the league $1 billion over 65 years, providing up to $5 million per retired player for serious medical conditions associated with repeated head trauma. Sounds expensive, a shipload more than what it would cost to fund some marijuana research. Marijuana is going to be legal again in the US. It's not a question of if but of when. The NFL has a chance to be ahead of the game here. Why not let these adults choose for themselves, Mr. Goodell, and remove it from the list of banned substances? Marijuana is not something athletes use for a competitive edge like steroids, and it's not a dangerous drug despite the brain-washing that's been going on since Reefer Madness in 1936. 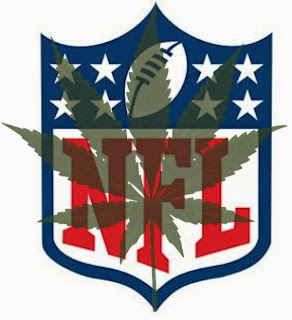 The NHL does not test for marijuana; the NFL shouldn't either. Former Super Bowl champions, Marvin Washington, Brendon Ayanbadejo and Scott Fujita have asked the NFL to change its marijuana policy. Let's hope more athletes, celebrities and politicians will have the wisdom and the guts to make similar statements. Let's also hope the NFL and the US in general can back away from the "tough on drugs" policy that has been status quo for far too long. Americans are supposed to be granted "inalienable rights" to life, liberty and the pursuit of happiness from the Declaration of Independence. Perhaps the greatest irony in all of this is that the US Government holds a patent (#6630507) for marijuana as a neuroprotectant, while simultaneously classifying marijuana as a Schedule 1 drug with no medical value. Yep, that's our government at work. What would our forefathers say? 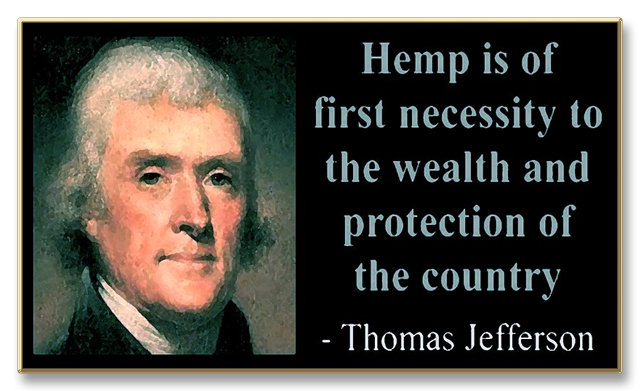 You know, the ones who grew hemp for just about everything.